This week may feel less like something new and more like a repeat performance on many levels. Believe me, the new beginnings are there thanks to one of the most important new Moons for you of the year on the 5th. This one marks the astral start of your new cycle no matter what date your birthday actually falls on. This new Moon marks your relaunch and should see a fresh version of you emerge which you are now ready to show to the world. As for the rest and the rewind, for you this week love is letting go of the fear of letting go. Mercury is now direct but remains in retroshadow. It meets Neptune again in its ruling 12th this week. Last week saw these two weave a tangled puzzle across the sky. 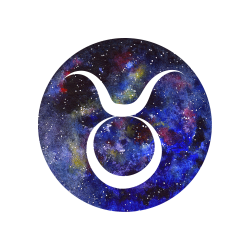 Even though Mercury is direct again, expect a repeat performance when it comes to delays, reversals or even you uncovering an unpalatable truth. You may have thought you had discovered it all but instead find there are new depths to be plumbed. If you are the one with secrets, they may come out one way or another despite your best efforts to keep them in the closet. So guard against this by making your new beginning one where you tell the truth about yourself. Remember, in what you don’t like about yourself lies your strength. Embrace your dark side. It needs love too. As far as the letting go part – if what you have uncovered requires you to do just that, then don’t fear it. Self-love and empowerment means letting go of fear of letting go. The Sun in your 1st arcs towards Ceres in your 9th. Letting go of anything – be it thoughts around ‘I can’t’ to something that simply isn’t what you though it was, brings freedom this week – and that new beginning. In a nutshell: Love is letting go of fear – of letting go. This week promises a fresh start. 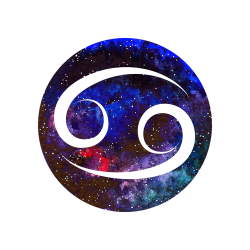 But making the most of its potential may mean letting go of something that shackles you to the past, Aries. Is it now or never when it comes to change? As a sign which usually resists change, you may leave people slack-jawed and thunderstruck by your ability to embrace or even initiate it this week. We associate the 12th house with inner knowledge, hidden truths and past life wisdom. In other words, matters of the heart and soul rather than worldly ones. 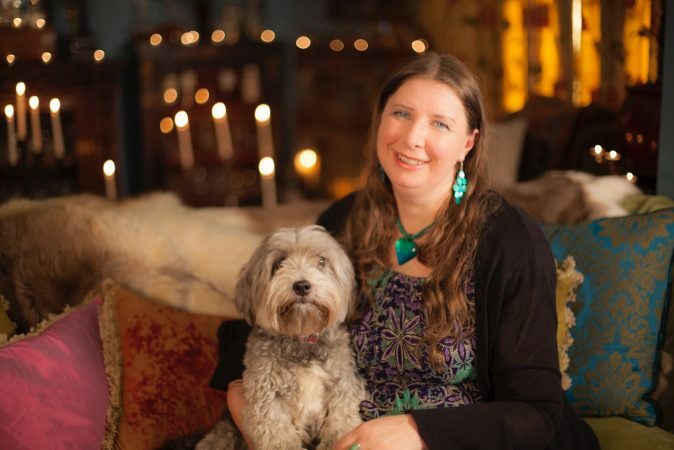 What many people – even some astrologers, fail to grasp however, is that this is one of the houses which hands us a secret supply of unquenchable power if we want to tap into it. When we have personal planets in the 12th we may see our energy peak and experience a ‘Now or never’ moment where we initiate whatever needs to be done. Or else ride the wave of change in if it catches us up. Get soul surfing this week thanks to a new Moon in here which allows you to take that energy and do whatever needs to be done before the Sun arrives in your 1st later this month. Your other powerhouse – your 8th, sees Ceres in here ignited by the Sun in your 12th on the 4th. This may see you as the agent for much needed and long awaited changes around your money or even your deepest, most intimate ties. 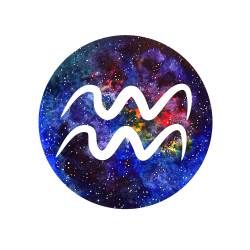 This week could also see a replay of a situation involving a friend, group, band, party, club or association or even a business contact or connection as now-direct Mercury re-encounters Neptune in your social sector. Be careful what you say now as your words may literally come back to haunt you. Others could see something they said, wrote or communicated in the past come back to haunt them. Under this transit nothing is forgotten so bear this in mind. Above all, if someone confides in you, please keep this in the vault. If you break a confidence you will be found out and left with a lot of explaining to do. Conversely, if you feel the need to confide in someone, please choose carefully if you don’t want your trust betrayed. If you need advice, try a professional. Secrets have a way of coming out this week. This also includes that change you’ve been secretly yearning for all along. In a nutshell: Secret agent sign! 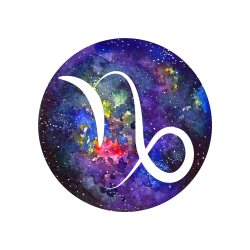 You could need to be an agent for change and keep a few secrets hidden this week, Taurus. The biggest secret of all however, is your desire for something new. Get ready for those goal posts to be moved – again, Gemini. This could relate to a project, job description, study, exams, pitch or application. You may be getting an oh-too-familiar feeling of déjà vu around this. Haven’t you been here before? And possibly even last week? Ruler Mercury now direct is sadly, to blame here. Last week before heading forward, it encountered Neptune in your career sector. Things may have at this point entered decidedly foggy territory. People around you, especially those supposedly ‘in charge’ may have changed their minds or just been unable to make them up in the first place. So, expect more of the same as no matter where you are on the totem pole this week, smoke gets in your eyes. The way ahead may not be clear and this may be on a project or organisational level or a personal one. You may have thought you knew where you were going, and are now unsure. No matter which it is, this will only last up until mid-month when clarity becomes king again. Until then however, expect confusion to rule. Ceres in your relationship zone calls for a compromise somewhere. Don’t forget this house also rules close working relationships so for some of you this may mean relinquishing control for a while and allowing the chips to fall where they may. If a solution is called for in a personal connection, you’ll find it thanks to a wonderful angle between Ceres and the Sun in your 11th. Others could begin a significant new friendship thanks to a new Moon in here on the 5th. If career matters are on the back burner and you realise you can do nothing more, focus on your social life and also those non-career related goals instead. This is a new Moon which sets the future in motion for you – often via the people you meet during the next four weeks. Be open to stepping out of your usual social circle and into another orbit. Especially one where like-minded souls reside. In a nutshell: Who moved those goal posts –Again?! Your social life offers compensation for career delays and changes you have no control over. Get connected – not confused this week. Lost at sea or lost in translation? Mixed messages and/or missed connections? The outlook this week is cloudy with a chance of outages. If travelling, please triple check everything before setting out. Strikes, system failures, delays and breakdowns can and will occur. All courtesy of now-direct Mercury in your 9th reconnecting to Neptune in here. You may have had a taste of this last week. Now expect more of the same. 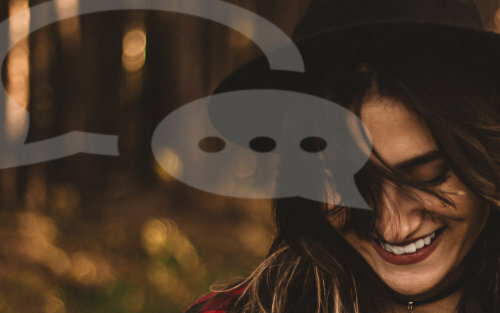 There’s also a chance of being misunderstood –not just because of a language barrier, but simply down to the other party choosing to interpret what you mean in an entirely different way. 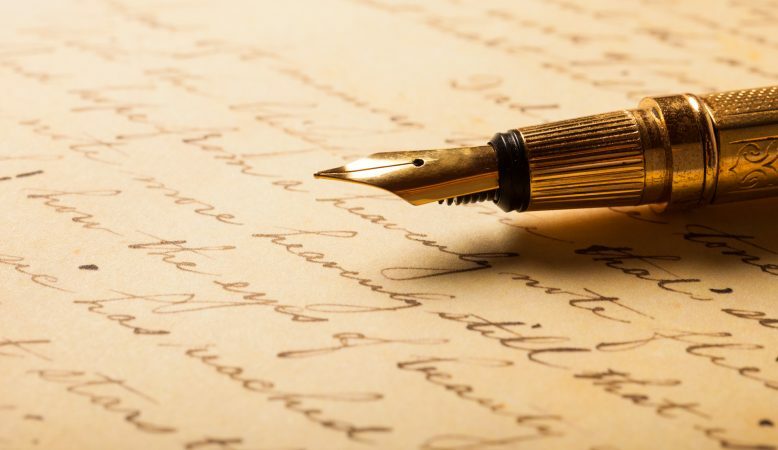 This is still not a good time to send out anything that involves the written word or even to get your ideas across. If you do, expect to have to repeat yourself if necessary. This week does however bring you a new Moon in your 10th intent on giving your professional image or your career, a makeover. Your 10th represents how high you can climb and also how people in positions of power, influence and authority, see you. You are ‘front of house’ when significant transits occur in this house. And make no mistake, a new Moon here is significant. All the more reason to ensure you are being correctly understood and are coming across as someone who knows what they are talking about. Craft your image as well as what you say. This is a time when a little rehearsal can go a long way towards long term results. This week also has the Sun in your 10th make a power move on Ceres in your 6th of work and responsibility. Your ability to attend to what needs to be done will not have gone unnoticed. However, do keep that work/wellbeing balance. This is also a good time to look at exactly what you put in that body. Is it a temple or have you turned it into a fast food outlet? If success is your destination, remember – your body is the vehicle that gets you there. In a nutshell: Make a new commitment to the Body Beautiful, Cancer. It‘s what gets you to your destination. You’re set to impress in your career so look and feel the part when it comes to success. Continue to steer clear of major purchases, new loans, credit cards or even a new accountant or bank. If someone is pushing your buttons this week or attempting to pressure you over a major decision, you need to step back and at the very least, ask yourself what their rush is? Don’t be afraid to show someone where the boundaries lie. Even if you have not done so up until now. 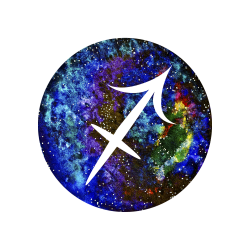 Mercury which rules communication, commerce and business may have moved direct but heading forwards in your 8th means it encounters Neptune in here for the second time. You may have thought you understood what was happening especially around financial matters, only to discover once more that you don’t. At the very least, you could be confused over someone’s demands or the exact nature of an agreement or deal – and the other extreme is that someone is trying to pull the wool over your eyes. Someone may just try to take advantage of you on an emotional level – perhaps resorting to pressure, emotional blackmail or control tactics. Watch for this and again, if you feel this is what is happening, don’t be afraid to push back. The fact is, whether you know it or not this week, Leo, you are about to leave anyone or anything that confines , manipulates or restricts you, in the dust. Never forget your ruler the Sun out-shines all other influences. Step into the light of your full power around the following on the 4th: creative self-expression, children or romance. A fabulous aspect between the Sun in your 9th and Ceres in your 5th points to someone or something willing to answer your desires or see things from your perspective. Of course, nobody gets things entirely their own way – but that smile on your face says this may be a better alternative anyway. Try to delay travel plans if you can due to Merc retroshadow for a little while longer. But a new Moon in your 9th on the 5th is all about a journey – real or metaphorical. It links you to those biggest plans, dreams and experiences. And asks you where you want to go next. You set the destination now as doors to something bigger open wide for you. Get ready to start the journey. In a nutshell: Love like neighbours needs good fences. Make sure people know where the boundaries lie. This week sends you in a fresh direction – destination: opportunity! Love is from – which planet?! 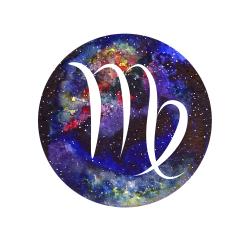 You may continue to feel distanced or even confused by partners this week, Virgo. This includes past, present and potential ones. It may seem as you are from one planet and they are – well, not just from another planet but a totally different galaxy entirely. Yes, ruler Mercury in your 7th is now direct once more. But the problem is that it re-encounters Neptune that it collided with when retrograde. So, any questions or issues you have are likely to rock back and forth for a while longer – at least until Mercury exits its retroshadow which occurs mid-month. You may also find yourself dealing with people who simply do not know where the boundaries are. This is not just your house of long term love and people who are definitely on your team. It is also the house of open enemies. Think ‘opponent’ as this is the house of the people ‘opposite you. If confronted with this, don’t be afraid to push back. I should not need to tell you that due to all of this it is not a good time to go looking for a new relationship. You need to follow through on changes that need to be made around your home, money and what’s truly important to you on a soul value level instead. Of course, avoid signing contracts and documents if you can until Mercury exits retroshadow. But this does not prevent you from focussing on income, where you live or what you truly regard as precious and beyond price. Identify what is totally necessary for your wellbeing and adjust in your favour as the Sun in your 8th makes a homecoming angle to Ceres in your 4th. Plant those seeds now. The new Moon also in your 8th allows tremendous scope for change and for transcending fears around this. It asks you to grow into the person you are destined to become by facing something that challenges you. And by doing so realise you in fact, are bigger than any challenge you set yourself. 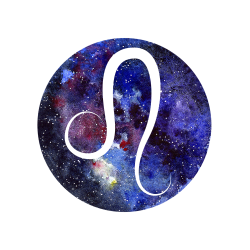 In a nutshell: Love actually DOES need boundaries to flourish so make sure yours are in place this week, Virgo. Push through any barriers to change. And know you are bigger than any challenge. Retroshadow Mercury is now direct but in its ruling 6th in your chart. This week schedules, plans, charts, details, maps, proofreading, routines, systems and double-checking are your best friends, Libra. 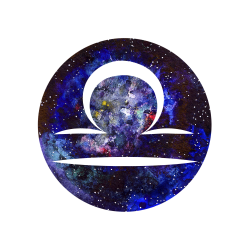 You will not be able to avoid what I like to think of ‘retrograde residue’ entirely as Mercury re-encounters Neptune again on the 2nd, but you can avoid the worst of it by being focussed and creating order. If travelling for work or just your daily commute, please continue for a while longer to allow extra time for delays, cancellations and snafus. Also remain tuned in to what that body is telling you. You might have noticed that what you put into it – or even on it, has a very different effect to what it usually does right now. You should be careful with alcohol and drugs (prescription and the other kind) and even your usual skincare routine or laundry detergent may produce an adverse reaction. While all this may smack of ‘same chocolate, different wrapper’, elsewhere in the sky exciting new beginnings beckon. The Sun in your 7th makes an illuminating angle to Ceres in your 3rd on the 4th. Have you been buying into someone else’s ideas around how love should be instead of designing the love that works for you? This aspect could just put this to rights now. The fact is Libra, there is only one heart you need to win to succeed at love and that’s your own. It’s not about love on your terms when it comes to another, but not allowing your heart to get bent out of shape by a design that’s simply not for you. This week’s new Moon in your 7th promises a fresh start for settles and for singles, the opportunity to enter into something By Design. That comes from looking deep within and asking that heart of yours what kind of love it truly needs to make it happy. That’s the only kind that matters now, Libra. In a nutshell: You’re the sign of partnerships. So enter a new one this week with your own heart. It’s time to follow your own idea of what love is – not anyone else’s, Libra. There are a few areas where even at the best of times it’s easy to see things how we want to see them rather than how they actually are. That lover, our kids if we have them, and our creative projects/abilities are the Area 51 of illusion for most of us. Now sometimes how we perceive things is exactly how they are. Yes, we are with Prince or Princess Charming, our children are gifted angels and the efforts of our creative self-expression are worthy of at the very least, Tate Modern. I am not for one moment saying things are not exactly how you believe them to be. 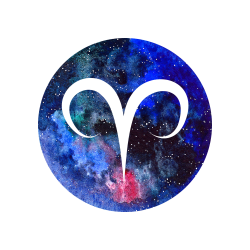 However, if there is a discrepancy between how you see things and how they are in these areas, you may have to tackle it this week as newly direct Mercury attempts to remove the rose-tinted glasses from Neptune in your 5th. You may need to assert yourself with a lover or a child. Or is a lover telling you something that you need to pay attention to? As for critics – well, you need to consider the source. Is someone criticising something you have created or love to do in a way that allows you to get even more joy from it? Are they filled with joy themselves with what they do? Or simply set to tear you down? Knowing the difference is part of seeing things how they truly are. And true rather than fake, joy. Mercury remains in retroshadow until the middle of the month. So, bear this in mind when it comes to your work, routine and wellbeing. Questions around what you need and what is ‘enough’ and what you are prepared to trade-off against wellbeing and happiness could be answered thanks to a wonderful alignment between the Sun in your 6th and Ceres in your values and money zone. This is about work and income but not at the expense of other areas of your life. The new Moon in your 6th on the 5th opens the door to what works for you. And what works is that one right thing. Because when something is right – right job, right purpose, right routine, you don’t need anything else and everything else works perfectly in all other areas. All you need is one if it’s the right one. Be it that lover, that job or just that way to wellbeing, Scorpio. In a nutshell: Love needs to get real this week, Scorpio. When it comes to your work and wellbeing, the right way is the one that works for you. And all you need is one now. Delays around property or doing things to your home, could continue to have you feeling less like there’s no place like it and more like ‘anywhere else but here’. 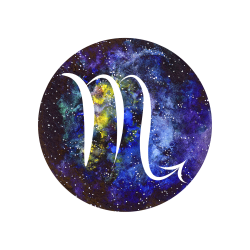 Try to delay making any kind of decisions around moving, buying or selling, leasing, renovating or even just getting a new flatmate until after mid-month when Mercury exits retroshadow. Until then and especially this week when it meets Neptune again in your 4th, expect experiences, but not the moving variety. Contracts or agreements could fall through, that decorator hangs the wallpaper upside down (happened to a friend of mine on a Mercury retroshadow), or your builder demolishes the wrong wall. There is no point in listing every single thing that could go wrong, just that if it is still possible for it to, it will. Where you belong, where you feel you belong – and this may transcend the home you live in but extend to a country, is all still subject to change with Mercury and Neptune as house guests in here. This will shortly change and the Welcome mat will be rolled back in. Until then, don’t hang up that hat. Shift that focus now where it belongs. Are you trying to do too much? Be too much for too many people? There’s a need to re-balance and put yourself first. Embrace a new emphasis on fun, self-expression, showcasing yourself and romance. You’ve been in that boiler room of the soul long enough, Sag! The Sun in your 5th angles to Ceres in your 1st telling you compromise sometimes means tipping the scales back in YOUR direction. Give pleasure, fun, playfulness and above all, yourself the priority as the new Moon appears in your 5th on the 5th. A new love affair could begin now or you just feel compelled to reconnect to joy. Some of you could take up an old pastime that you set aside. Others could begin a new creative venture. Allow the creative child within you free rein now. Immerse yourself in something you love. This is one of your houses of attraction and the new Moon in here has the capacity to bring in something which delights us. When we are in our joy we radiate and as we do that, we attract. Putting yourself and your needs first puts you back in the flow. The more you allow the universe to give to you, the more you have to give back – and the more you attract. Simple soul physics this week, Sag. In a nutshell: Home matters may be in limbo but love is the moving force in your life this week, Sag. Connect back to pleasure and what makes your soul glow. As you radiate – you attract. Mercury has been retrograde in its ruling 3rd and although it is now direct again, it remains in retroshadow until mid-month. When it retros in a ruling house, its capacity to create mayhem increases – especially in this house with regards to how you communicate or get around. Throw into the mix another encounter with Neptune in here on the 2nd and you could be looking at a late and very bad April Fool’s joke. The chances of problems with your phone, tablet, computer or even your car are increased exponentially as are miscommunications. Someone may misinterpret what you say or vice versa. Confusion rather than clarity still rules. Take care to update your firewall or internet security and please don’t go onto any site that is not safe or open any suspicious emails or attachments. Try to avoid signing any important documents or if you cannot avoid this, go through the small print with a fine tooth comb. And then do this again as there may be something you missed the first time around. You are being alerted to the truth behind something this week that you can use to your advantage. This has long term implications for you thanks to a wonderful angle between the Sun in your 4th of home, belonging and security and Ceres in your 12th. Something you set in motion or have worked towards in the background diligently proves its worth as an investment. The 5th brings a new Moon in the Moon’s ruling 4th. Look back due to the Merc retroshadow to go forward now. This new Moon is powerful but it wants you to look at your past relationships with family and also others and to see whether they supported you or held you back on some level? By seeing the pattern here, you can avoid any further situations where the past impinges in a negative way. It is a time of new beginnings. Nurture yourself and tenderly nurture those dreams as well. In a nutshell: Look to your past connections to map your relationship future. This week offers a chance to create something that truly supports you, Capricorn. Nurture yourself and nurture those dreams too. Do you know which way the money goes? Watch the way the money goes this week, Aquarius. Your cash, possessions, accounts, cards, payments, buying, selling, doing business or simply those day to day expenses may be shrouded in mystery if you have not been paying attention. It could be time for an audit and to know exactly where the money is going – or invested. Mercury retro in your 2nd has been creating confusion – especially when combined with Neptune. Now direct, it meets the planet of inspiration and obscurity once more. Look closely at that bottom line and think of this as an opportunity to get clear on exactly what you do have at your disposal to get the most from it. If the word ‘budget’ sees your mind go into automatic shutdown, then substitute this with ‘spending plan’. Mercury is still in retroshadow so please try to avoid changing banks or new financial dealings until it exits this at the middle of the month. 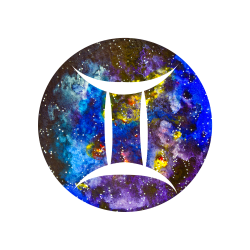 However, new business dealings and ways to communicate which Mercury rules, are now impatient to enter your world. Go back over unfinished or old projects and ideas as the Sun in Mercury’s ruling 3rd angles to Ceres in your 11th. Is there something with a larger message or potential to it that you could literally take to the masses? It is not the time to launch it yet but it is time to refine or revise it. There may also be a middle path you could not see before to get to that goal. The 5th brings a new Moon also in your 3rd and sees you literally wanting to spread the word. Especially when it comes to those ideas. Just remember what I said about retroshadow time however. It is time for planning now rather than action and to think not just about those goals but as many different ways to attain them as you possibly can. This new Moon tells you there is more than one path to get where you need to go. Be ready for alternatives now. In a nutshell: There could be many different ways to get to those goals, Aquarius. Time to be open-minded when it comes to the route you can take to make those ideas reality. Be ready to explore the road less travelled. Of all the signs, you are the one which has felt the Mercury retrograde the most. Not only have you had the planet of movement and communication backwards in your 1st, but it has encountered Neptune your ruler. Last week it hit in going backwards. This week sees them entangled once more now Mercury is direct. This is all about your image and how you imagine others see you. Understand that how you see yourself may be distorted by this transit. So, please, put off radical image overhauls and makeovers until after Mercury exits retroshadow. If not, while what you see in the mirror may make you temporarily happy, you may not like it in the long term. I could say just stay away from mirrors or even other people’s Instagram feeds. The term ‘through a glass darkly’ comes to mind. At the end of the retrograde shadow you will see yourself clearly again. Just not now. 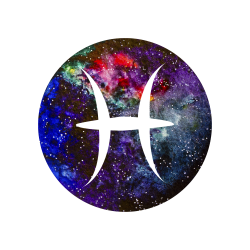 No more cruise control when it comes to your career or the rewards you expect to receive from it, Pisces. Step into your full potential now. You have the power to negotiate on your own behalf or ride a wave of rising ambition in towards that big break. All courtesy of the Sun in your money zone activating powerful Ceres in your sector of your highest potential. To add to the success generating vibe this brings, the new Moon in your 2nd on the 5th heightens your desire to claim what you’re worth – on every level. This includes monetary rewards for your time and skills and also the attention you deserve. Expect recognition and for people to demonstrate how valued you are. If you are feeling you are getting less than you deserve – be this your pay packet or just attention, then this new Moon allows you to plant fresh seeds which will grow into study self-worth and self-recognition. Getting what we want in the material world begins with valuing ourselves more. And seeing ourselves as we truly are. In a nutshell: Adjust your vision and set your price this week, Pisces. You may be worried about how others are seeing you now. Your true image is formed within from how you value yourself. Makeover the inner you.